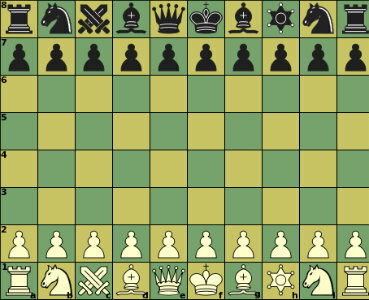 In a game as old as chess, there are bound to be variants that form along the way. In fact, there are too many to count! Here’s your overview of the most common chess variants. Chess is an ancient game that has, believe it or not, been played in many different ways with many different rules over the course of its long run. In fact, when the rules changed to allow for the expanded Queen movement we’re familiar with today, people totally freaked out! The French called the new version “ésches de la dame enragée,” or “chess of the enraged lady.” And that’s just one change out of hundreds that have no doubt taken place from the invention of chess around 600 AD to modern chess in 2017. Chess variants, sometimes referred to as “unorthodox chess” and other more dubious names, are games that are loosely related to chess. They’re either derived from or inspired by the traditional rules of chess. Since that’s quite a broad definition, these games can appear very similar to or very far removed from traditional chess, it just depends on the variant. Some of the most popular chess variants in play today include Chess960, Bughouse, Loser’s Chess, Gothic Chess, Capablanca Chess, Kriegspiel, and Atomic Chess. Chess960, also called Fischer Random Chess, is a chess variant invented by chess legend Bobby Fischer. It was born out of the idea that traditional starting positions often led to repetitive play that became boring at higher levels. To solve this problem and prevent players from falling back on rote openers, Fischer came up with the idea of starting a chess game from a randomly generated position, as if you were coming into it right in the middle of things, and thus, Chess960 was born. 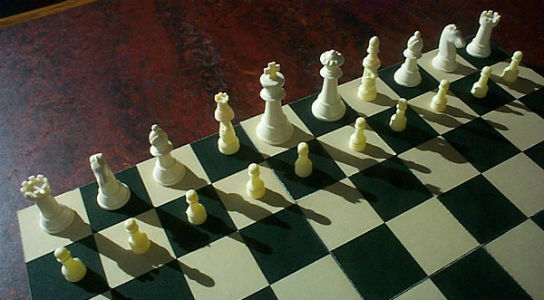 The 960 in Chess960 refers to the number of possible starting positions within the game. 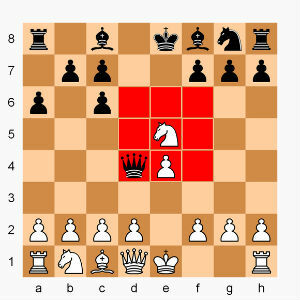 Once the game begins in one of these unique positions, it proceeds according to all traditional chess rules. Chess960 provides a way to play a more interesting, dynamic game of chess without changing the feel or function of the game. There are a few rules governing the placement of the pieces to ensure that neither side has an unfair advantage and give the best possible chance at an interesting game. First, all pawn pieces are placed along the second rank, as normal. All other pieces are distributed randomly, but the Black position must mirror the White position, and each side must have one Bishop of each color. Lastly, the King pieces must always be placed between the Rooks. Then, play as normal. 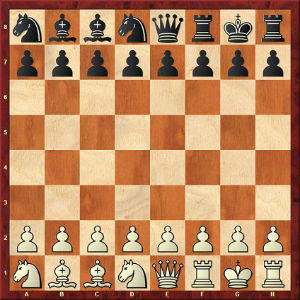 There are a number of ways to generate these positions, such as rolling dice or using a chess computer programmed for Chess960. Bughouse is a chess variant that’s gaining a lot of popularity, particularly among the younger generation of chess players. The most striking difference in this variant is that it’s no longer a two player game! In fact, two teams of two players each face off over two separate chess boards. Both players on a team will be represented by the same color on each of the two boards. At first, the games seem to be played normally, as if it were just two games of traditional chess taking place in tandem, side by side. However, as soon as a piece is captured, you will begin to see the major difference! 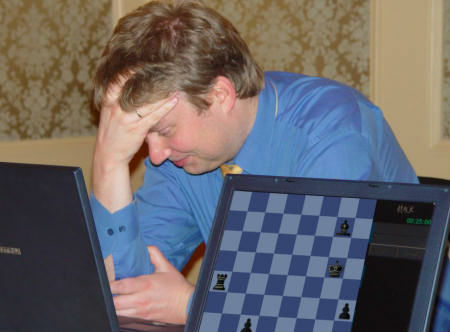 In Bughouse chess, whenever a piece is captured, it does not simply rest by the side of the board until the next match – the capturing player takes the chess piece and passes it to his team partner playing on the other board. On each player’s turn, they may choose either to make a traditional chess move or to put a captured piece that’s been passed to them back in play on their board. As you might imagine, this adds an exciting new element to contend with. 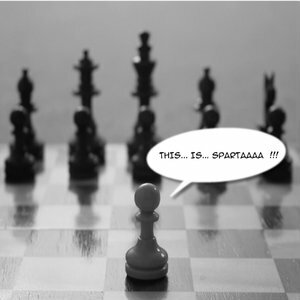 The first person to achieve checkmate on either board determines which team is victorious. If you only have two players, there is a variant of this that you can play called Crazyhouse. In that version, capturing a piece entitles the capturer to place the same piece of his color on the board later in the game. Loser’s Chess, also called Antichess, Suicide Chess, Killer Chess, or Take-All Chess, is a chess variant in which the only way you can win is by losing all of your pieces. These games are usually played as a silly, fun pastime, but there is actually a lot of strategy that can be uncovered if you go deep enough into it. The game is made playable with just a few rule changes from standard chess – most importantly that captures are mandatory, not optional. Whenever you find yourself in a position to be able to capture a piece, you must do so. If you could capture more than one piece, you can choose to capture whichever one you prefer, but you can never opt not to capture, or else the game would never end! The only way you can win is by losing all of your pieces – Loser’s Chess. In this variant, the King pieces hold no special value and may be captured at any time without ending the game. The game ends when one player’s pieces have all been captured, or, in some cases, when there is no legal move remaining to a particular player. Loser’s Chess is a fun, light hearted variant that subverts traditional chess play by turning it on its head. Much like Go For Broke is the spiritual opposite of Monopoly, Loser’s Chess is essentially the opposite of traditional chess. Capablanca Chess is a chess variant invented in the 1920s by legendary chess champion Jose Raul Capablanca. It adds two new pieces to the game board, and it’s played on a larger 10×8 board to better accommodate the increased cast of characters. Capablanca created this variation of chess because he feared that people were nearing optimal play and chess would soon be played out, meaning that games between grandmasters would always end in draws if no mistakes were made, and the entire game would fade from competitive popularity in a phenomenon known as “draw death.” This idea that the death of chess was imminent may be a testament to Capablanca’s own enormous skill that was far ahead of his time, since no modern computers, let alone human players, have been able to come anywhere close to solving the game of chess even now, more than 75 years after Capablanca’s death. But nevertheless, that’s what he thought, so he invented a chess variant that would make things more complex by adding two new pieces – the chancellor and the archbishop. The archbishop pieces combines the powers of a bishop and a knight, making it able to move an unlimited number of squares diagonally without jumping over pieces, or move in the Knight’s signature “L” shape with the ability to jump over other pieces. The player chooses which way to move at the start of each turn. An Archbishop alone has the power to checkmate a lone King. This piece is also sometimes called the Princess. The Chancellor has the combined powers of a Rook and a Knight, meaning that it can either move in the Knight’s “L” shape with the ability to jump over other pieces, or move horizontally or vertically through any number of unoccupied squares like the Rook. This piece is also sometimes called the Empress. When setting up the board for Capablanca chess, the Archbishop piece is placed between the Queen Knight and the Queen Bishop, and the Chancellor piece is placed between the King Knight and King Bishop. Some additional rules include one that allows the King to move three squares when castling instead of the usual two, and another that allows pawns to be promoted to archbishop or chancellor pieces, in addition to their range of promotion options in traditional chess. Upon its introduction, Capablanca’s chess variant received mixed reviews, with some players enjoying it and others feeling that the addition of more powerful pieces made the less powerful pieces on the board even less relevant. It was tested on a 10×10 board as well, but the 10×8 board came to be preferred because it allowed hand to hand fights to begin sooner. A typical game of Capablanca chess lasts about 20 to 25 moves, compared to traditional chess’s average of about 40 moves, which makes this a quick and challenging variant. Gothic Chess is a newer variation of Capablanca Chess that is identical in every way, except for the fact that the Archbishop and the Chancellor pieces are switched during setup so that the Archbishop is on the King’s side and the Chancellor is on the Queen’s side. Kriegspiel is a very interesting chess variant in which you cannot actually see your opponent’s moves, nor are you told what they are. This element makes it sort of a Chess/Battleship hybrid game experience. 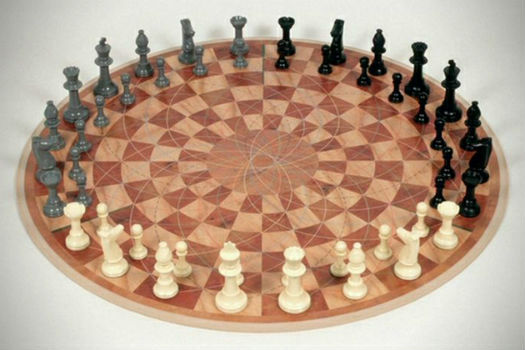 Because neither player can see the board, this variant needs to be played with the help of a third person or chess computer program to act as arbiter. The role of the arbiter is to essentially play the game for the participants – he or she receives moves from the players and makes them on the board, if there is a physical board. The arbiter will also inform players when they’re tried to make an illegal move, when a piece is captured, what pawn captures are still available, and from which direction their King is in check if that is the case. If you’re playing with a human arbiter, a chess board will almost certainly be necessary to keep all of this straight, but a computer program can arbitrate the game without ever needing to generate pieces on a board. What’s so subversive about the Kriegspiel variant is that it takes a unique game of complete information like chess and turns it into a game of virtually no information. This makes for a highly unique playing experience, even though all the rules of play remain the same. As you might imagine, the game is largely random, but what strategy there is depends largely on knowing your opponent and predicting what sort of opening moves they will use. The rest is up to chance! Atomic Chess is a popular online chess variant that is much more cutthroat than standard chess. This cutthroat nature of the game stems from the modified rule that insists that when captures are made, not only is the captured piece removed from play, but also the piece that did the capturing. As if that weren’t enough, each piece within a one square radius of the site where the capture occurred are also “blown up” and removed from the game, unless they are pawns. This makes gameplay much more dangerous for both players and turns the chess board from battleground waiting for conquest to minefield needing to be carefully navigated. The first person to explode their opponent’s King is declared the winner, possibly over a barren wasteland pocked by explosions! These are just a few of the most popular chess variants currently in play. The actual number of chess variations possible is incalculable, and even variants with published literature total over 2,000, with that number increasing every day. The variants outlined above have gained enough popularity that it wouldn’t be unheard of to find them being played as side events at traditional chess tournaments or supported on many online chess services. There is plenty of opportunity for new chess variants to take off, so if you have a variant you play among friends that you haven’t seen anywhere else, it may be worth having it published to bring it to the foreground. There are bound to be many never-before-seen chess variants in play at private tables around the world that could very well be the next Bughouse! If you and your friends enjoy it, chances are good that a lot of other people would enjoy it as well. I spent the last 21 years (on and off) designing, developing, testing, tweaking, and finally self-publishing (part of the games) a set of 4 new chess variants, which as a group are called the Castle Strife Games. They are all played on the new combo circular-square board that I designed called the CirSquare 96 chess board, which has 96 spaces (exactly 50% more than orthodox chess). I merged a square chess board into the hole in the middle of a Byzantine Chess (aka Circular Chess) board. My 4 variants, in the order of their complexity, are: Castle Siege Chess, Castle Action Chess, Castle Attack Chess, and Castle Challenge Chess (which is a team game for 2 to 3 players per side). All of the variants are explained quite well on my website CastleStrife.com. Unfortunately this comment space will not accept images. I would appreciate it very much if you would visit my website and give me some feedback. Over the past 3 years, my games have been well received at the Chess Club at VCU (Virginia Commonwealth University) in Richmond, VA and by some of my coworkers. This past February, I retired from the project that I was on in Richmond and I am now back home in Cary, NC working on marketing my games full-time.